More information on our motorcycle safari tour through Rajasthan including requirements and the lowdown on places you'll see on your trip. The motorcycle, we believe, is a powerful symbol of freedom. You are exposed to your environment with the wind in your hair, the wide expanse of the desert landscape, glorious sunsets- sounds romantic but you have to come well prepared and acclimatize yourself to your surroundings. It goes without saying that you have to be an experienced rider. Prepare yourself well for Indian conditions and the climate. Sometimes there are no traffic rules and traffic could very well include bullock carts, sheep, cows or donkeys! Make sure you have all your personal motorcycle gear like helmets, sunglasses, sunscreen, gloves etc. and of course your international driver’s license. If you follow all safety conditions and are an experienced rider, India is the place for you! Though we prefer single riders per bike, we have no objection if a rider would like a friend to accompany him/her as pillion. There is an additional supplement of USD 650.00 in that case. The tour could also be done entirely by a jeep which would take a maximum of 4 people. The cost for 4 people sharing 2 rooms with meals and accommodation but excluding insurance would be USD 400.00 per day. It's always advisable to arrive a few days in advance of your tour (at least 2 days). This is to get over your jet lag if you come in from afar and acclimatize yourself to India- the climate, roads and people. Plus you can get in some sightseeing. 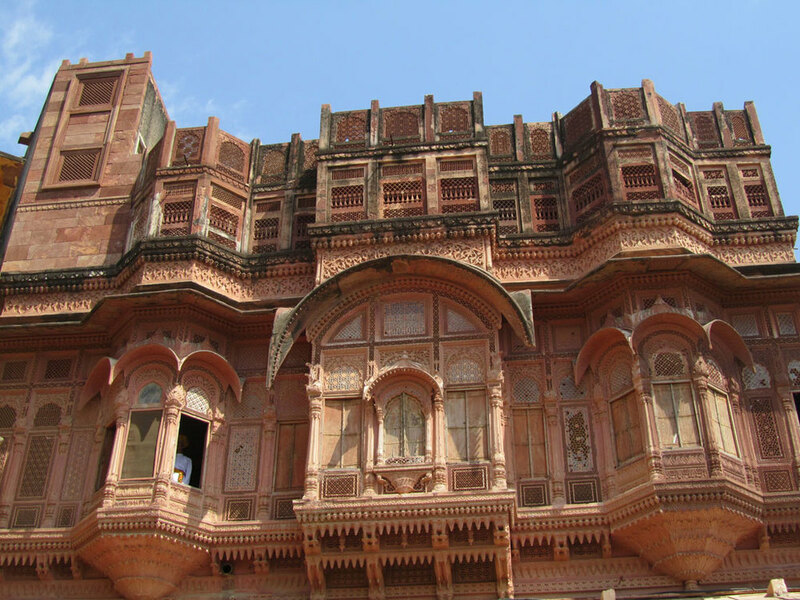 JAIPUR is known as the 'Pink City' for the ubiquitous pink sandstone used in its architecture. It also has an immensely rich cultural heritage. Visits to the Rajput forts and royal palaces take you back in time and the bazaars provide fantastic shopping opportunities. Colourful block printed textiles, blue pottery and precious stones are a specialty. Located in the heart of the city, the palace now houses a large museum, but it also serves as the residence of the descendants of the royal family. There are a variety of articles on display- silks and brocades worn by the maharajahs and their queens, carpets, paintings, chandeliers, ornate palanquins and fascinating antique weaponry. With nearly 1,000 latticed windows, the five-storied Hawa Mahal or ‘Palace of Winds’ was built to allow women of the royal family to observe the proceedings in the street below, without being seen themselves. They would sit behind the carved stone screens which let in the breeze and at the same time permitted them to observe the practice of ‘purdah’. An astronomical observatory built by Maharaja Jai Singh II, the founder of Jaipur, between 1727-1734. The ‘instruments’ are actually huge structures built of stone and marble and are quite remarkable for their accuracy in measuring time, tracking the locations of stars, predicting eclipses, and so on. Let your guide walk you through this place for your lesson in ancient astronomy. Note: The above three places are all within walking distance of each other. About 11 km outside the city is the beautiful Amber Fort, most notable for its artistic style which integrates both Hindu and Mughal elements of architecture and decoration. An elephant ride takes you up to the fort (you could always choose to go by car), the rugged exterior of which is in marked contrast to its lavish interior. The walls are covered with paintings, carvings and stunning ornamentation. There’s also a good sound and light show in the evenings. 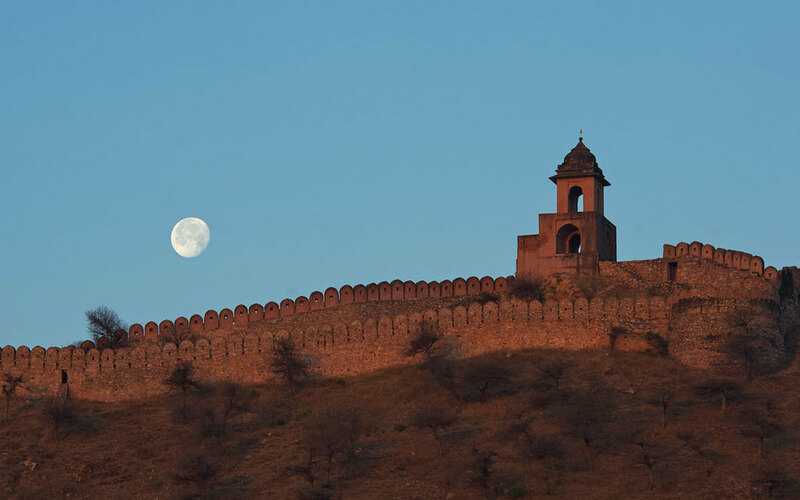 Is located at the top of the same hill, connected to the Amber Fort by passages through the hillside. Jaigarh houses the massive Jaivana cannon- the world’s largest cannon on wheels, weighing in at 50 tons, with a 20 foot barrel. 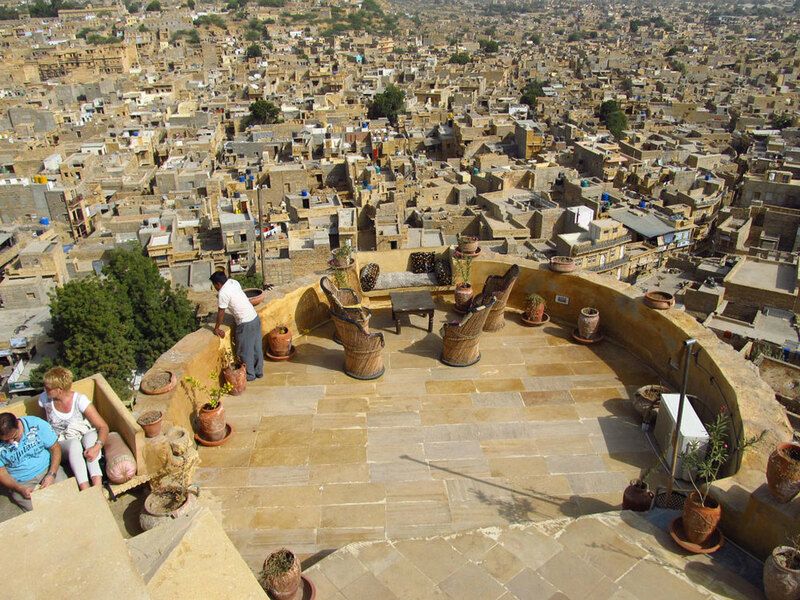 It also has a commanding view of the surrounding Aravalli hills. A very safe place to entrench yourself from an enemy attack... or a zombie invasion! 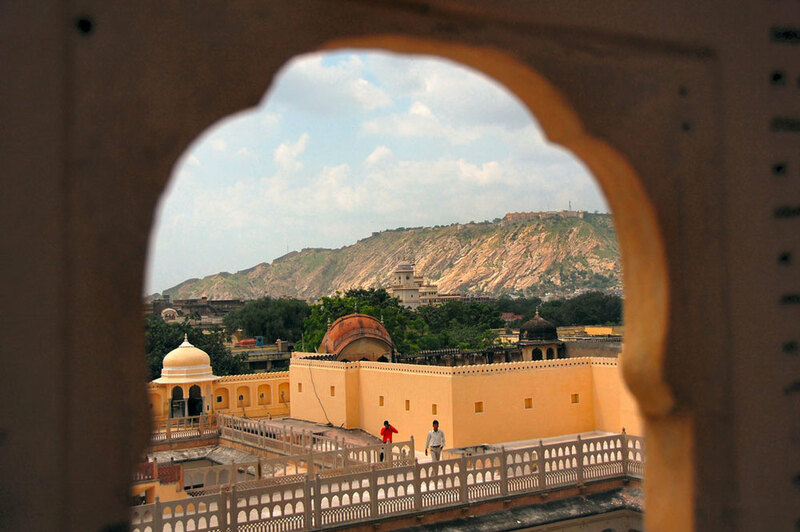 Provides a breathtaking view, overlooking the pink city of Jaipur. While the Amber Fort is the most popular and also in the best condition, the partial ruins of Nahargarh offer tranquility to those looking for some time alone. Off the tourist track, 10 km from the city, lies the Galtaji temple complex. These 18th century temples are built in the hillside and are a destination for pilgrims because the natural springs around the temple are considered holy. Which means ‘the garden of the Sisodia queen’ is located close to Galtaji, outside the city of Jaipur. Have a royal sprawl around the fountains, painted galleries and tiered gardens built by Sawai Jai Singh for one of his queens. 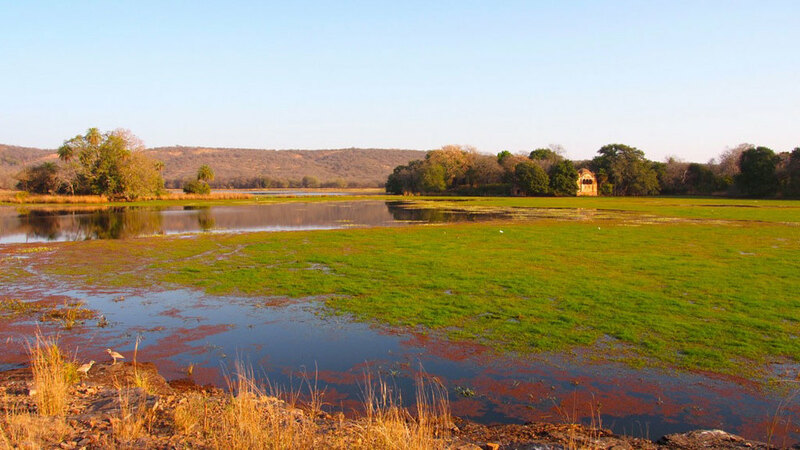 RANTHAMBORE is famous for its national park and tiger reserve. 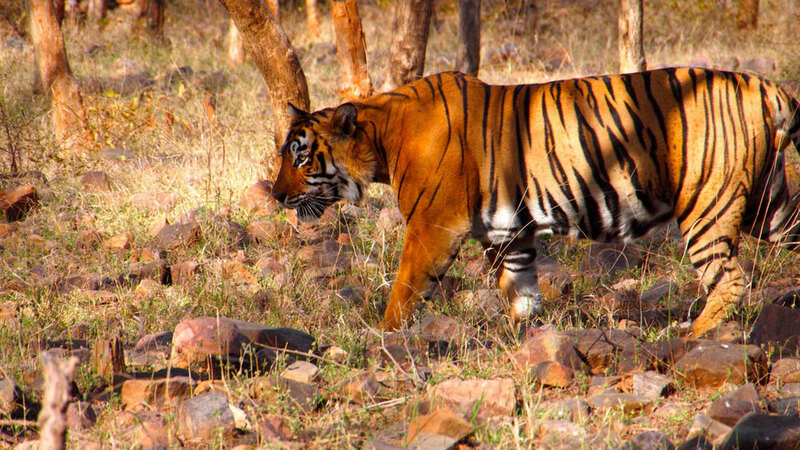 The forest abounds in a diverse variety of wildlife, and it's perhaps one of the best places in India to see a tiger in the wild. 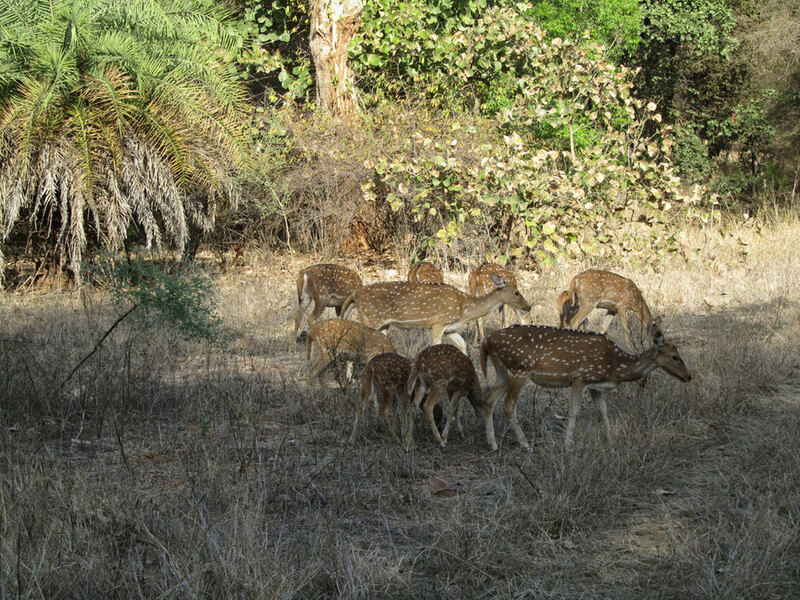 The Ranthambore Fort stands in the middle of the forest. PUSHKAR is a temple town on the shores of a lake, held to be sacred by Hindus. Pushkar has a temple for the god Brahma, one of very few Brahma temples that exist in the world. It's also famous for the Pushkar Fair held every November, where livestock- especially camels- are bought and sold in large numbers. 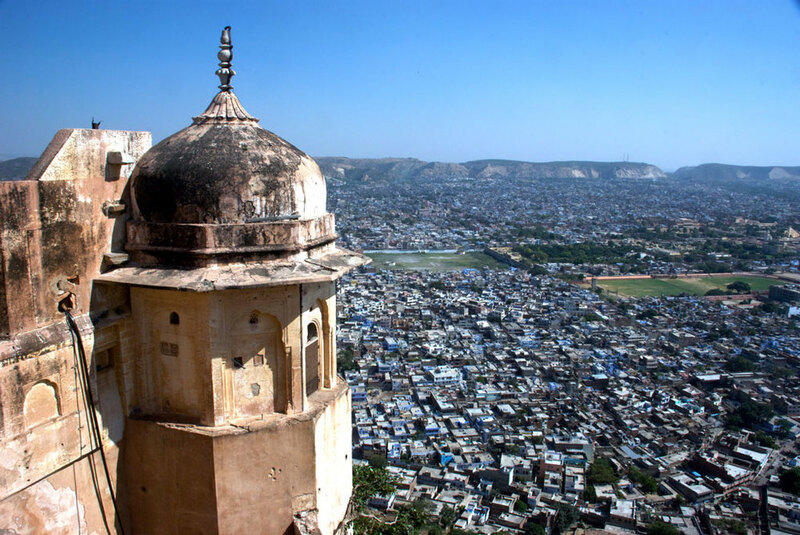 AJMER is famous for the Sufi shrine, the dargah of Moinuddin Chisti, where thousands of devotees and tourists throng everyday to pray for the fulfillment of their wishes. The famous Mayo college, once the college for royalty, is also in Ajmer. 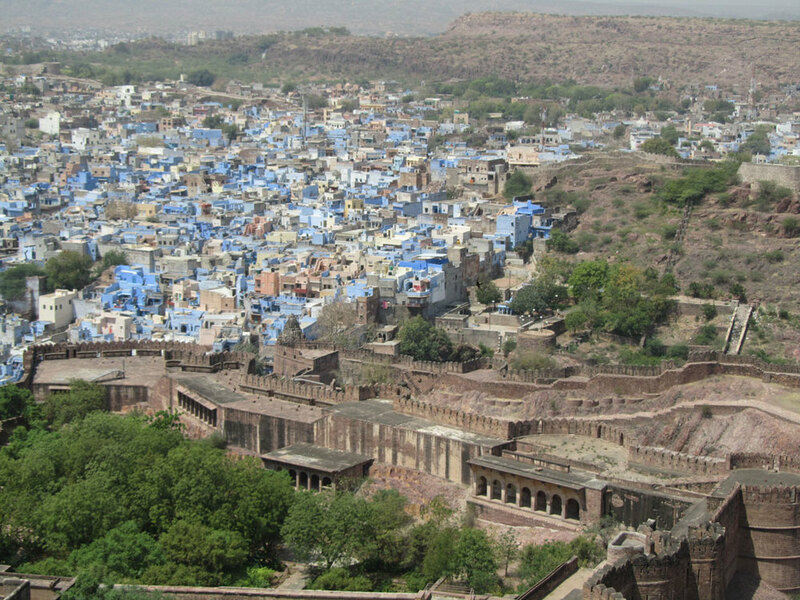 JODHPUR is situated in the centre of the state of Rajasthan and is known as the 'Blue City' as most of the Brahmin houses in the old city around the fort are coloured in blue. The city is famous for its handicrafts and the following visitor attractions. Towering over the city, the Mehrangarh Fort is one of the most impressive and well maintained in the country. 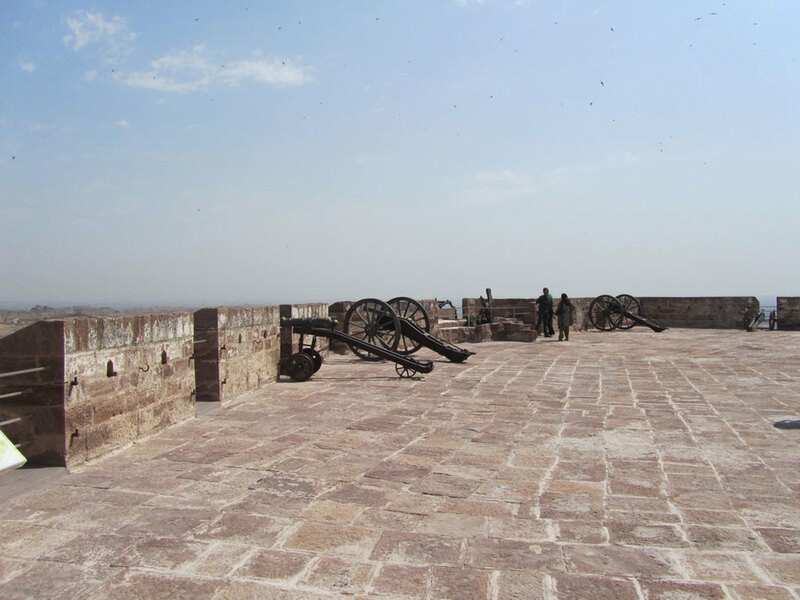 The museum here is full of fascinating artifacts and the ramparts offer a panoramic view of Jodhpur. The residence of the Jodhpur royal family, a large part of this magnificent palace has been converted into a heritage hotel. About as royal an experience as you can have anywhere in the world. Close to the Mehrangarh Fort, the Jaswant Thada is a beautiful cenotaph built entirely in white marble. 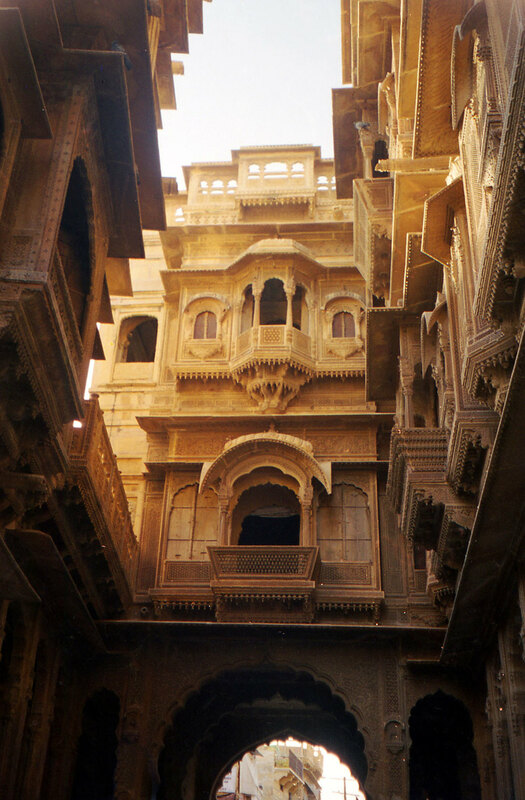 JAISALMER is in the heart of the great Indian Desert and is famous for its ‘Golden Fort’ or the Jaisalmer fort, the only living fort where the descendants of the old families still reside. The sand dunes of Jaisalmer are ideal for camel rides. "Dune bashing" in four-wheel drive vehicles or on ATVs is a recent addition. UDAIPUR is the ‘City of Lakes’ also known as the ‘Venice of the East’. This charming city is famous for its lakes, palaces, museums, paintings and temples. At a short distance are the famous Ranakpur Jain temples and the Kumbhalgarh Fort. Besides the ubiquitous boat rides, there's also a short cable car ride that gives you a great view. The City Palace and its museum is a must-visit. KUMBHALGARH is a truly beautiful place about 80 km from Udaipur. The drive is lovely too. 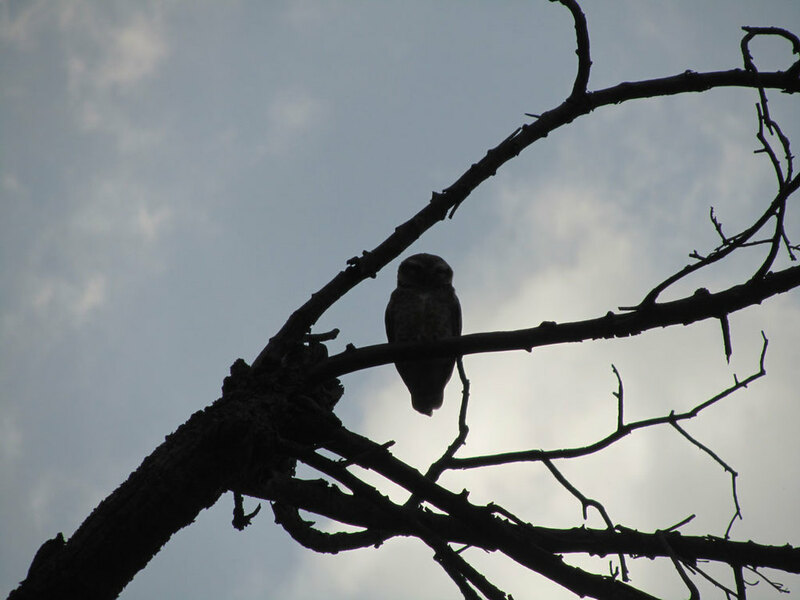 Situated in the hills at an elevation of 1,100 metres, it's also a great place for trekking. The fort here, on top of a hill, offers an absolutely magical view for miles around. If you want to extend your stay here, there are some good accommodation options too. RANAKPUR houses an exquisite Jain temple constructed in the 1400s. Jainism is one of the oldest religions in the world. Among the architectural wonders here are 1,444 carved marble pillars- no two of them are alike.